Service and Maintenance agreements from A.J. 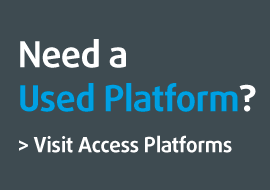 Access Platforms - Taking care of all your service needs. 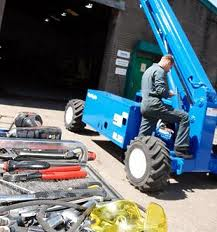 Did you realise that 'The Lifting Operations and Lifting Equipment Regulations 1998' means that any owner of a piece of access equipment has a mandatory obligation to ensure that their machines are examined every six months by a competent person and that records muct be kept? Our Service Engineers are factory trained and have their own fully equipped service vans. These are supported by our own extensive workshop facilities and stores, capable of undertaking work from routine servicing to major refurbishment. By taking out an SMA (Service and Maintenance Agreement) with you can take the sting out of the cost of annual servicing and maintenance work. You will also be notified when your next service is due and a convenient time for you will be scheduled well in advance. Once the service is complete you will receive a full report from our Engineer - we also retain copies of all reports on site for your future reference.